Higher education leaders, managers, human resource professionals, faculty, and staff increasingly face uncivil, bullying behaviors in academe. This can manifest itself as constant public humiliation by a new department chair, exclusion of a contingent faculty member, undermining of work performance by a supervisor, stalking by a staff member, or taunting. As higher education institutions continue to face budget issues and external pressure, the incidences of bullying are on the rise. This edited volume provides guidance on the nature and impact of bullying, legal and ethical issues, and approaches to assist leaders in facing these challenges in their colleges and universities. Research-based chapters cover the impact of bullying on the workforce, the ways that bullying manifests within different sub-cultures and at different institutions including community colleges, the legal and ethical issues of bullying, and recommendations to address bullying on campus. Exploring bullying policies and innovative programs, this book provides a better understanding of how to rethink current policies and practices to proactively create more civil cultures. 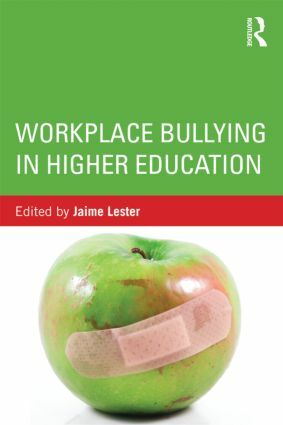 Workplace Bullying in Higher Education is a valuable resource for all higher education leaders and professionals on understanding, mediating, and preventing bullying. Jaime Lester is Associate Professor of Higher Education at George Mason University, USA.